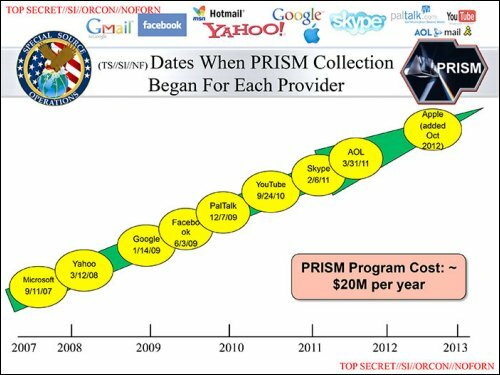 Since 1998, we have been disclosing information about how Microsoft has been allowing the US NSA [National Security Agency] to have direct remote access to every Windows operating system that it sells to businesses, consumers and governments around the world. In more recent years, we have been publishing information about how Microsoft has been joined by various other tech companies in supplying information about its UK users and customers to the US NSA and other intelligence agencies. The Chinese government has actually stated that it has identified the UK as a stable future partner in business because the UK has the same citizen-control programmes in place and when the US has rejected the presence of Chinese telecom companies on its soil due to security reasons, why is David Cameron betraying us? In March 2010, we published information on this site that stated that the NSA and its various international counterparts were already accessing communications records [including Internet] from ISP's and, we published information about how QCHQ had been blocking public access to various legal websites [such as the Christian Aid and Amnesty International websites] since 1992. At this time, we also published a policy proposal to address how both Tony Blair and David Cameron have allowed foreign agencies and even regimes, to have unmonitored access to ALL private domestic UK data and, we mentioned of how neither 'leader' had secured any assurances or guarantees from any 3rd party regarding protecting this data and more importantly, we also mentioned of how permission form the UK people was never requested and that instead, we had been lied to. • Labour, Conservatives and Google in bed together for decades! In 2011, we detailed how David Cameron had betrayed every single UK citizen [including ALL children] and the UK economy itself, by out-sourcing the UK's National Census data collection to US arms manufacturer Lockhead, which meant that the US government [and others] would then automatically have access to all of our information. In June 2013, a CIA whistle-blower confirms that everything that we have published [and a whole lot more] has actually been happening. For example; it now appears that the US NSA and UK intelligence agencies joined forces and surveilled ALL foreign diplomats who were in attendance at the 2009 G20 summit in the UK - even including Presidents and, none of this has been disclosed by any UK mainstream media network. The BBC is STILL betraying you. There is no resistance from tech companies [no company has ever appealed a decision made against it in court, when trying to protect it's customer's privacy] and, some are not even demanding court orders and are only too happy to s*** on their own customers. PA direct democracy video: Inet Provider is watching you! The 'justification' that such surveillance is needed in order to stop terrorism has also now been proved to be a lie because, none of this surveillance prevented any of the public massacres that have occurred in the US since 2006 - despite most of the perpetrators openly bragging on-line about what they intended to do. 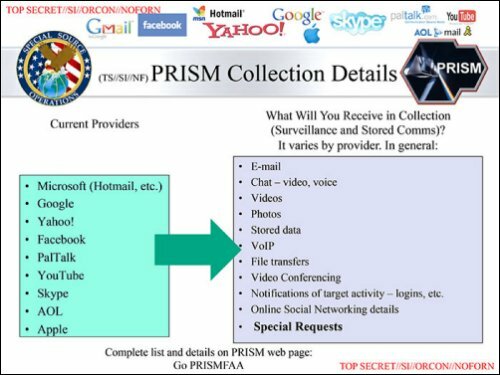 This was information that was in the public domain and yet it was missed [on each occasion] by the US NSA - who along with the UK's MI5 and GCHQ are obviously too busy spying on innocent citizens. It is our absolute belief that the solution to ending ALL global terrorism lies in shaping foreign policy around how we ourselves expect to be treated, while educating the extremists of how their God has no needs.